Hello from a new Scotlander! 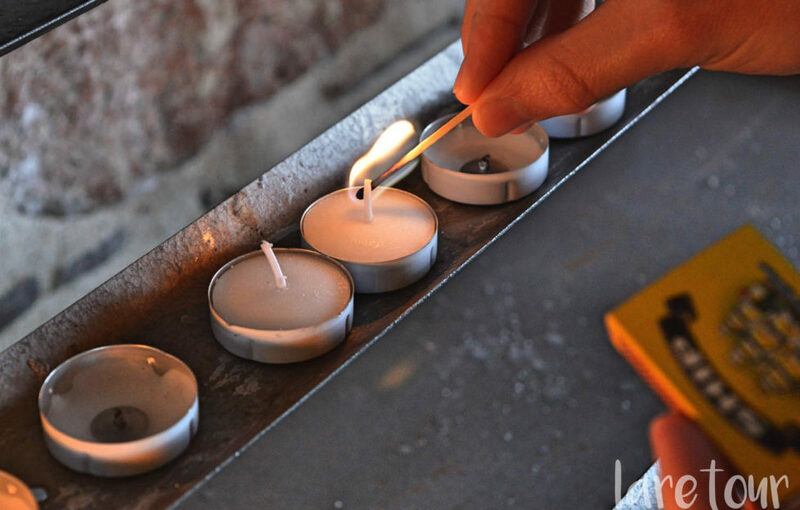 2016 has been a year of change so far for our travel-mad blogging team. 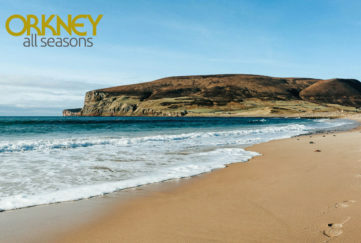 I’m one of two new faces (see Patricia’s latest article here) and, like everyone else, I have a rather unsubtle obsession with Scotland. We have some exciting campaigns coming up this summer, and I am so looking forward to exploring more of our amazing wee country. So why have I joined the Scotlanders? Being born and bred on the west coast, and lucky enough to have an outdoor obsessive for a father, meant that Scotland’s scenery was always on my radar from a young age. 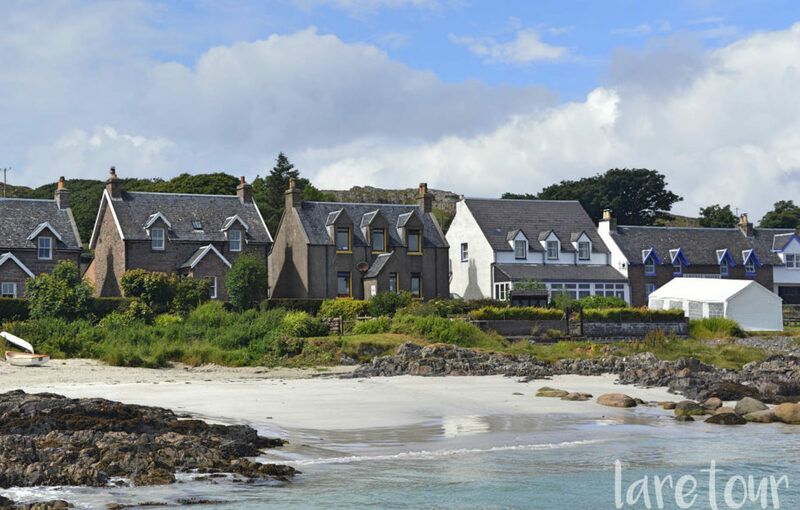 We holidayed in beautiful spots like Arisaig, Oban and Crail and I remember — many a time — reaching the top of a hill and Dad would say, ‘Look at that VIEW!’ (This remark was later received with a bored look when I reached adolescence). Only now, after a year abroad in France and hours in an office, have I suddenly realised — again — what a breathtaking country lies just over my doormat. 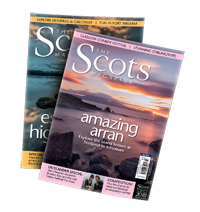 For my first Scots Magazine article, I’d like to rewind to a few weeks ago when I spent a day — from the grey early hours to the pink tinges of twilight — exploring three islands in the Inner Hebrides with West Coast Tours. Six o’clock. A characteristically Scottish summer’s morning: dim, cool and with a hint of moisture in the air. We woke and messily brushed our teeth, pushing crushed clothes into bags before gunning the engine on a residential street. Next stop? 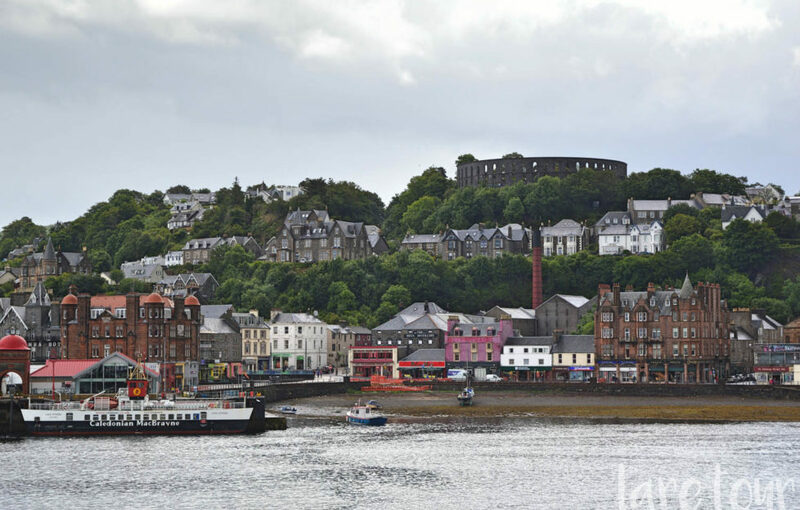 Oban, the Gateway to the Isles. This was where our mammoth ten-hour Three Isles Tour would begin. I love Oban. Nothing screams a home holiday to me more than the quasi-Roman silhouette of that west coast town: the arc of McCaig’s Tower on the skyline, the constant squealing of seabirds and the troops of tourists, weighed down by rucksacks but lifted with their visible excitement to be exploring another part of this magical country. Once we’d picked up our tickets and downed a coffee, our CalMac ferry pulled out of the harbour towards Mull. It was a grey day but — as we all know — sometimes in Scotland those dreich days are among the most beautiful. As we drifted away from Oban Bay and past Kerrera, an occasional ray of light beat the wall of clouds and dappled the isles below in gold. That didn’t last long though. 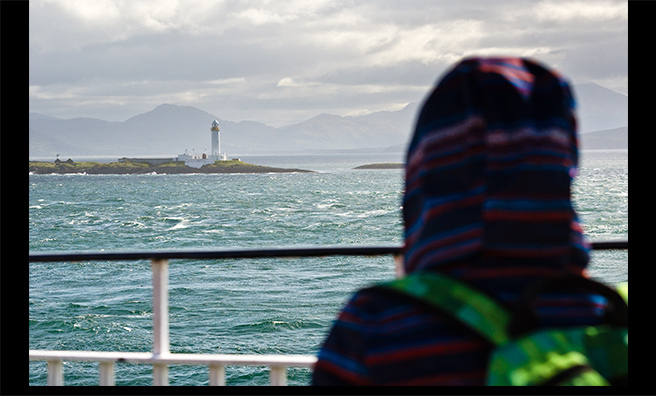 As soon as the ferry pulled into Craignure, the heavens — as they’re wont to do — opened, and we splashed our way towards the waiting West Coast Tours bus. Inside, cosy and evaporating nicely, the driver (and guide!) made his way slowly forwards Fionnphort, where we’d join our second ship of the day. En route, his island lilt rumbled out facts about Mull: the wildlife we might have seen on a better day, stories of the locals, even pointing to where a post office was hidden in a garden shed. Through imposing valleys, narrow lanes and narrower bridges the bus wove, leading us an hour west to the next harbour. Although the first isle we could see from Fionnphort was Iona, it would be a few hours before our boat landed by the silver beaches we could spot from the shore. 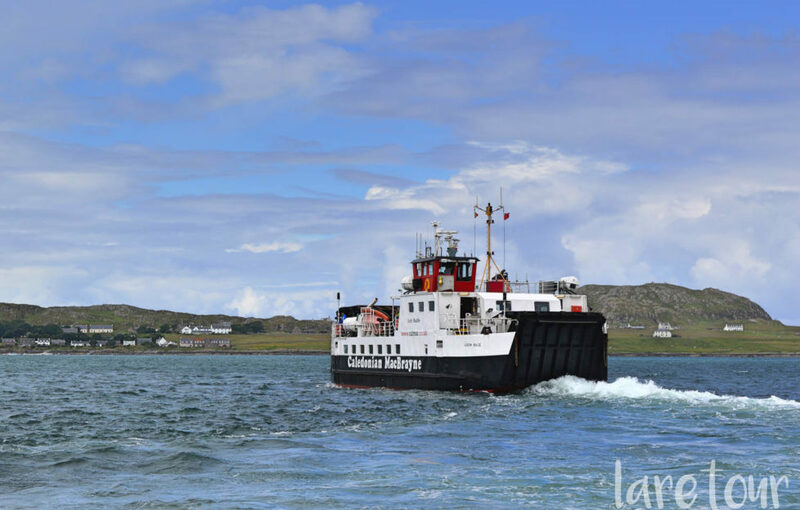 Instead, West Coast Tours placed us in the capable berth of MV Fingal, a speedy boat operated by Staffa Tours which would take us further out into the Atlantic. 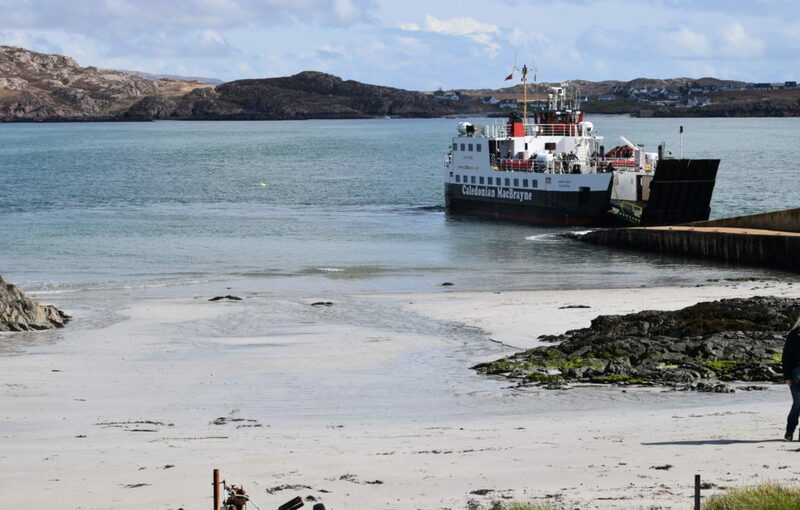 Once past the protective rock of Iona, the swell grew and the boat pitched. Deck passengers (including us) got soaked from the spray and — as a result of bowing our heads to the relentless mist — we didn’t spot Staffa until we were right beside it. Which was a rather breathtaking introduction. 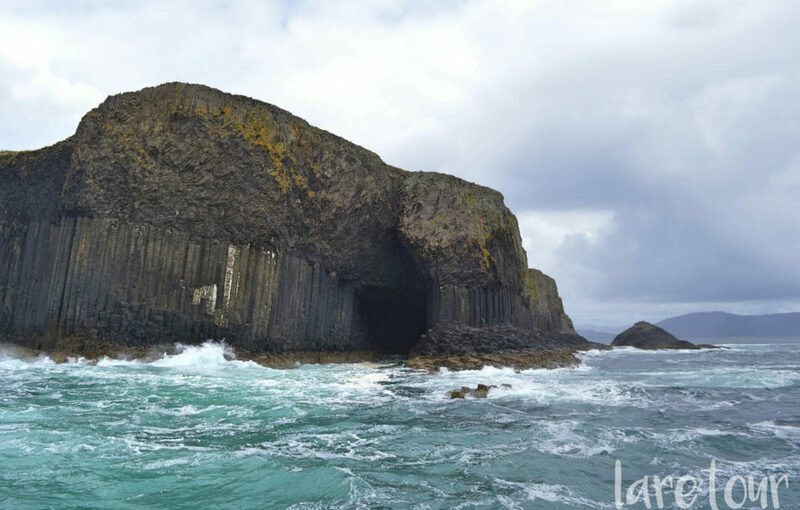 Visited by authors, royals and musicians alike, Staffa is the basalt gem of the Inner Hebrides. With its imposing columns — like mammoth Lego gone wrong — framing the visible southern chambers of Boat Cave and Fingal’s Cave, it was as if something strangely magical had risen from the wild water surrounding us. The captain of the boat drew us closer, allowing us to see the thin roped rail that led walkers in to the mouth of Fingal’s Cave itself. With the waves whipping at the basalt pillars, it looked an unforgiving place to be. And it was. Shortly after, the crew told us that a landing on Staffa would be impossible due to the size of the swell and the safety risk it would present. This was becoming all too apparent already, as several tourists had taken refuge in the cabin with a sick bag. To be honest, we were beginning to feel a bit nauseous too, and were quite content to feel solid ground under our feet as we touched down on our third island of the day! Was one island an antidote to the other? 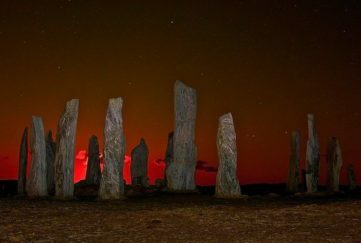 Where Staffa had been natural, mythical and almost uninhabited, Iona was bound in history, spirituality and human existence. 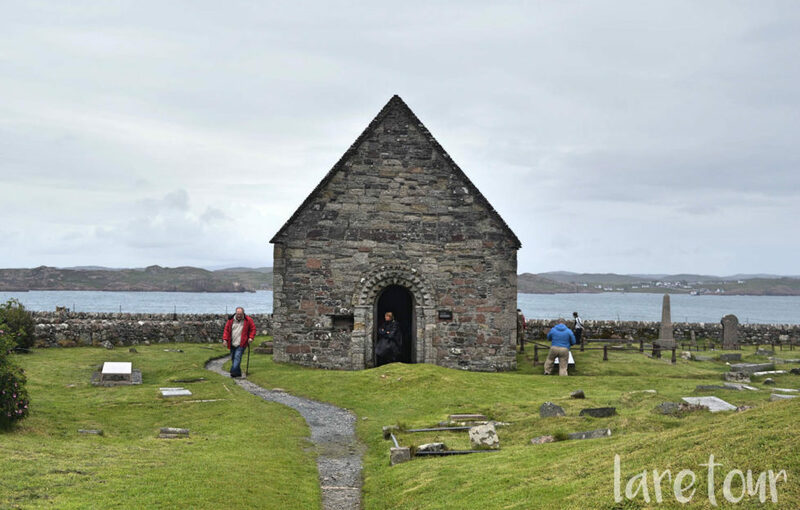 Still one of Scotland’s most renowned pilgrimage sites, Iona seems to bathe in an almost ethereal atmosphere. Past houses perched on the road, we wandered the lanes and through communal gardens before reaching what we’d seen from the shore: the site of Saint Columba’s former monastery, now Iona Abbey. 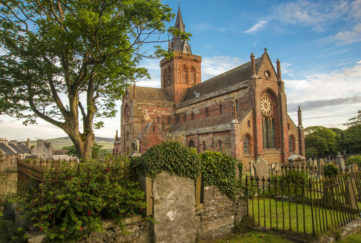 Largely rebuilt in the twentieth century and now managed by Historic Scotland, the grounds are littered with centuries-old treasures, crosses and architectural wonders. It’s impossible to do justice to this place in a paragraph, let alone in the few hours we had to visit, and I believe you’d need a day here — just taking it all in — to fully appreciate the magnitude and history of this sacred site. 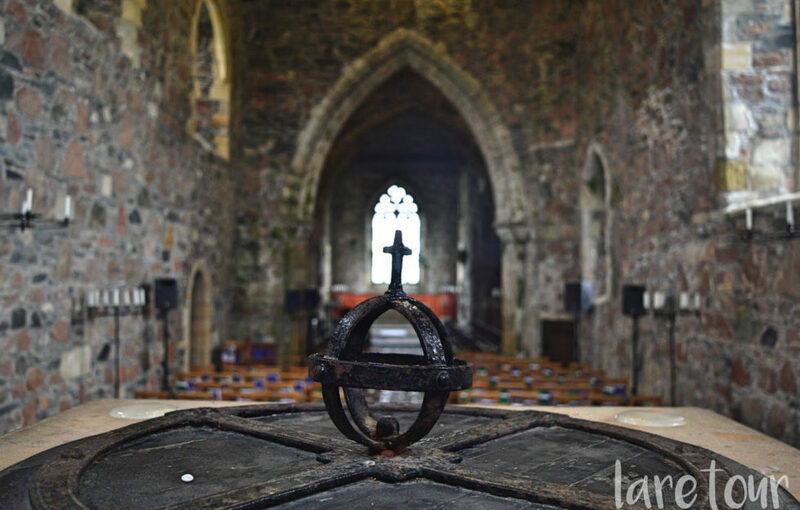 On we wandered, along the medieval ‘Street of the Dead’ — a processional route where royal coffins were once carried — towards Reilig Odhrain, Iona’s ancient burial ground. 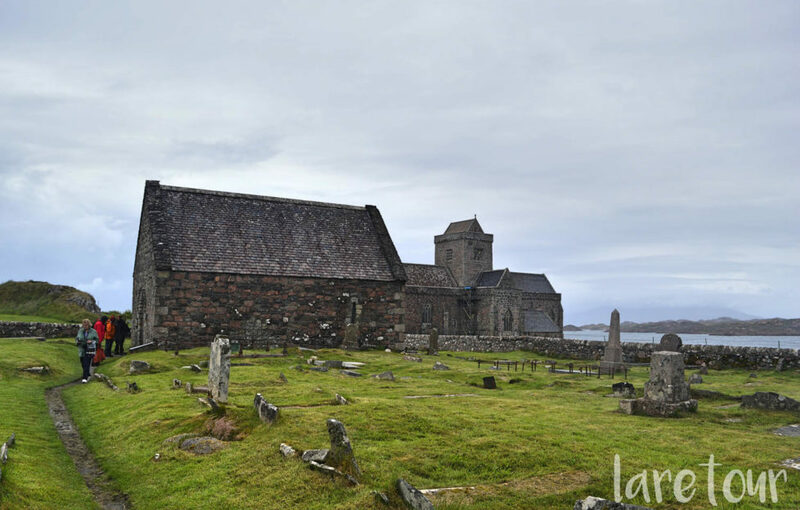 Past the tombstone wreckage of monks, islanders and clan chiefs, the overgrown path rejoined the village of Baile Mor and met the ferry, ready to return us to instant communication, stunted spirituality and city noise.